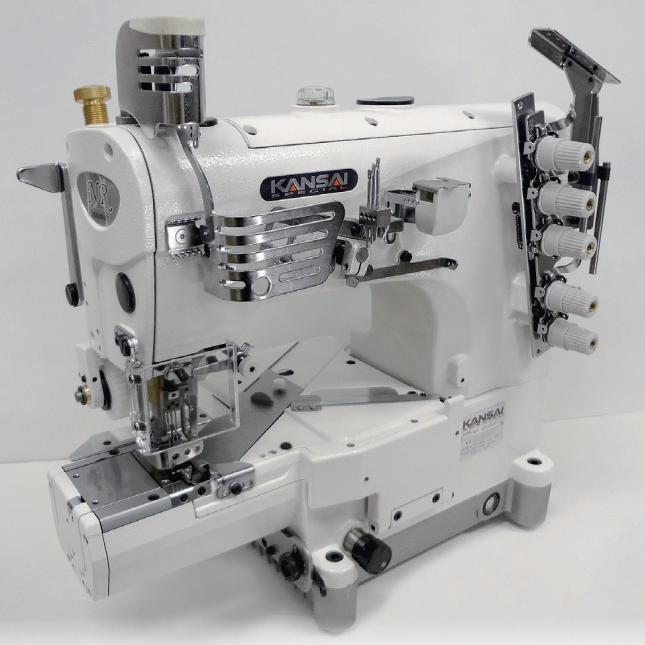 NR・NRE series are high speed and high performance, top and bottom coverstitch machines with cylinder bed (circumference 280mm). These machine have wide-range of models from 1to 4 needle. These machines are suitable for various kinds of operations like plain stitching, covering, hemming, attaching elastic, attaching pre-closed elastic to men’s briefs, and etc. Various subclass models are available : puller, right knife, left knife, etc. Stitch length can be adjusted by a push button easily (max. 4mm, 6 stitches/inch). NRE series has the looper thread take-up cam on the outside of the machine for easier handling.